The New Jersey pharma received an FDA nod on Friday, for its immuno-oncology drug Opdivo as a medicine for the management of small cell lung cancer patients who have previously undergone platinum chemo and no less than one different form of therapy. Information from a phase 1/2 trial which revealed that merely 12% of patients showed a response to treatment, however within that group, the median response stayed for 17.9 months, resulted in the attainment of the FDA approval, BMS said. “At Bristol-Myers Squibb, we recognize the critical need to provide patients with cancer therapies that may offer more durable responses—particularly for those living with hard-to-treat, aggressive diseases like small cell lung cancer,” Sabine Maier, M.D., BMS’ development lead for thoracic cancers, said in a statement. Opdivo becomes the foremost drug in the extremely cut-throat PD-1/PD-L1 category to penetrate the already treated small cell domain after receiving the green signal. This proves significant for Bristol-Myers, as Merck’s Keytruda has outpaced it with two FDA approvals. 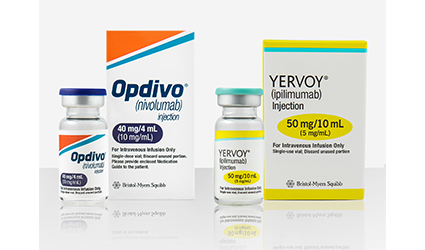 From its second-quarter earnings call, the company declared last month that it is planning to get a combination of Opdivo and I-O drug Yervoy into the front-line scene, and in second-line, Opdivo has exceeded expectations of analysts. Therefore, BMS can still expect considerable lung cancer sales.